Remember this video from last year? The best part of video tutorials is that you can use the ideas, and change the supplies to what you have on hand now! 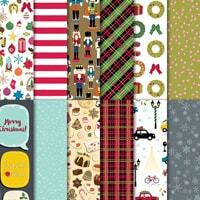 That was great paper last year, and this year, I LOVE the Christmas Around the World DSP! I have a feeling I'm going to regret not stocking up on it! Now that I've discovered the Christmas Lamppost Framelits cut out the images on the paper I'm OBSESSED! 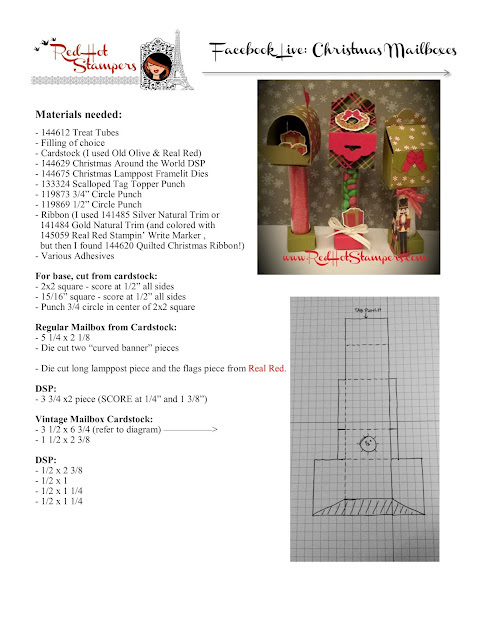 Here is a list of supplies I've used to create a NEW style of gift card holder using this same video tutorial! And here is this year's version of the quick and easy gift card holder! No one will ever know it was a last minute gift! 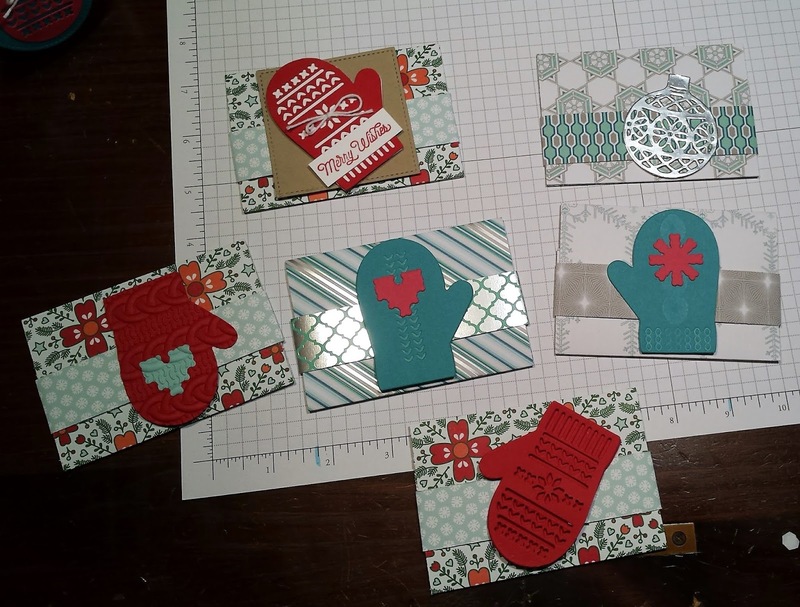 So, I made a bunch of gift card holders using the above suppies and FORGOT to take a picture! I guess it means I'm using what I make (which is a GOOD thing!) Here are a few using retired paper and the the Smitten Mittens framelits. You can imagine how much cuter they are with the new paper! 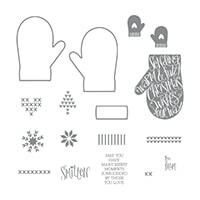 Don't you LOVE the Smitten Mittens bundle??? SO ADORABLE. We played in the snow bright and early this morning (before it could melt), and had hot cocoa with marshmallows for breakfast! We have Christmas movies and music on and are getting our Christmas craft on! This is the most WONDERFUL time of the year! These stockings are SO DANG CUTE! I still can't decide if I want to use them as gift card holders and give them away or use them as Christmas tree ornaments. Is it selfish of me to keep them? I seriously just LOVE them! So whether or not I choose to keep them or give them away (I really do prefer giving to getting...usually) I WILL use this stamp set again and again! It's a classic! I hope you enjoy this month's printable case insert! Let me know if you have any questions printing it! I do have a PDF I can send you, but I've run out of room in my dropbox. So until I find a better free storage solution, we'll have to be satisfied with the jpegs. Also, don't forget that the deadline each month to order your kits, or change the number of boxes you'll get each month is the 10th. That's in just a few days! If you haven't yet subscribed, you can do so here! Labels: Paper Pumpkin, Printables, Red Hot Stampers, Stampin' Up! I think it's a sign that I need to order TWO boxes a month instead of just one! (That and the fact that Sophie keeps asking to put together my Paper Pumpkin...maybe she's old enough to get her own subscription!) Seriously, what a great gift to give your daughter, granddaughter, niece, etc. It's really a gift that keeps on giving! It guarantees quality time every month! 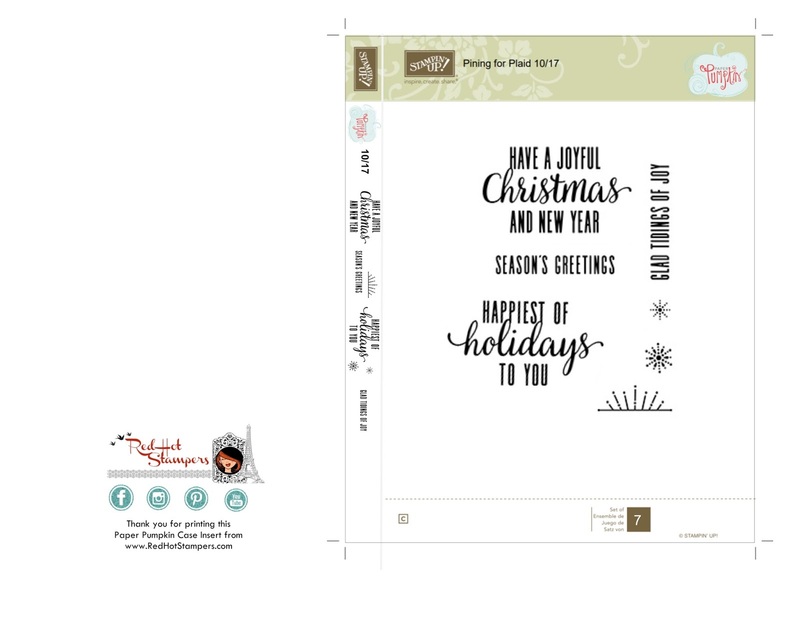 Here is your monthly printable case insert you can use to organize your Paper Pumpkin stamps. They are some of my favorite sentiment stamps, and I seem to always look at my "Paper Pumpkin shelf" first to find a good sentiment! Well, I feel like it was CHRISTMAS at my house today! 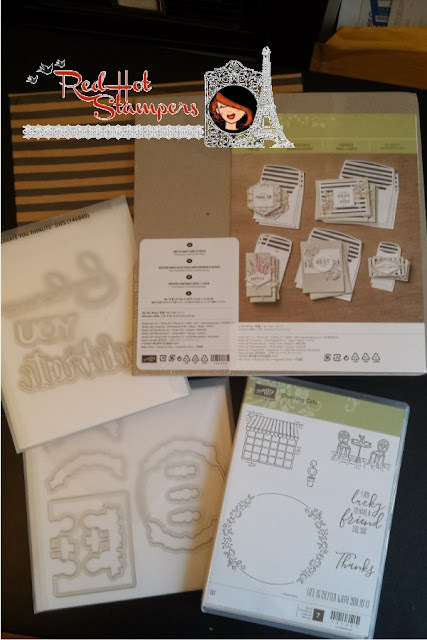 I received all my new pre-ordered goodies from Stampin' Up! and oh what fun I had unboxing them! If you haven't already liked my facebook page, please do so now so you don't miss future live videos! OH! Speaking of live videos, I will do a super cute tutorial tomorrow (Tuesday December 5th) at NOON central time on facebook. Don't miss it! 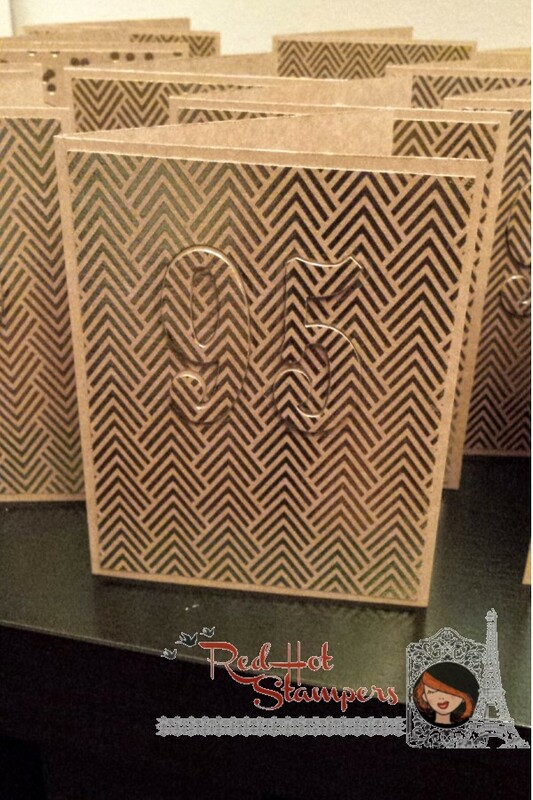 I also did a live video showcasing the plethora of new Designer Series Paper I ordered on my YouTube channel. So run over there and subscribe as well! I know. I'm all over the place. So, before I post the videos here, I want to show you the bundles I created in order to get the free items! But, just remember, this is a SNEAK PEEK. These products will not be available to order until January 3rd. HOWEVER, if you simply cannot wait, go ahead and Treat Yo' Self (like I did)! You can order these products NOW by joining my team for just $99! 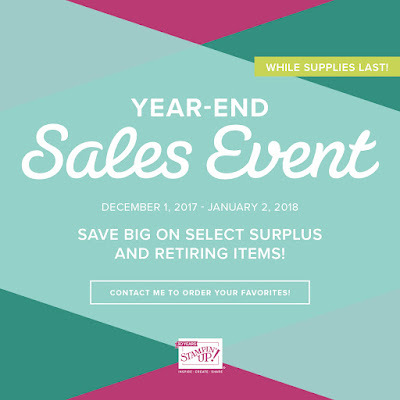 Just choose $125 worth of product you would like to buy (which CAN be from the upcoming Occasions catalog!) and we'll order you a "starter kit" with NO commitment! You are more than welcome to order and then do NOTHING if you'd like. Or simply share with your friends and they'll want to order from you as well! It is SO much fun! And I'm telling you, my team is a RIOT! We have so much fun! Contact me if you'd like more information on joining! 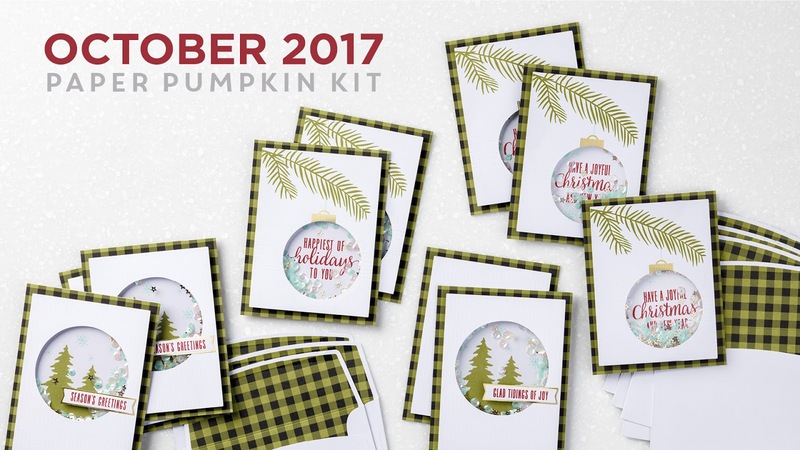 Here is your 2018 SAB & OCCASIONS CATALOG SNEAK PEEK!!! SO. MUCH. FUN. The best part is that with all these fun products I have HOURS of crafting ahead of me! And SOOOO many fun ideas in my brain! The kids are going to be playing with their Christmas gifts all day long, and you better believe I'm not going to be cleaning! I'm going to be STAMPIN'! Haha! 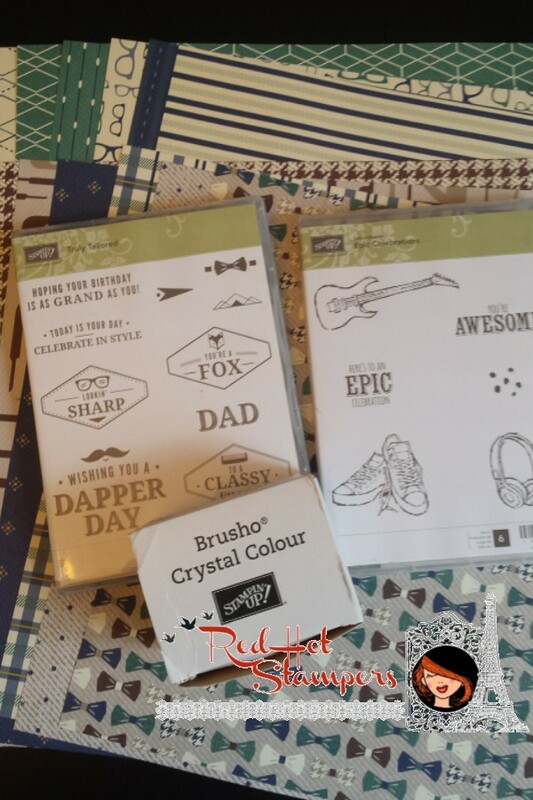 To get the Epic Celebrations stamp set for free, order the Brusho Crystal Colour, and/or products from the True Gentleman suite! The DSP, the bundle (including the stamps and a punch), and the night of navy corduroy ribbon or True Gentleman Buttons. OR you can go for a completely different look! Order the Brusho Crystal Colour, the Painted with Love DSP, and the Love Mini Tinsel Trim Combo Pack, and get the Epic Celebrations stamp set for free! Ok this free Party Pandas set matches EVERYTHING! 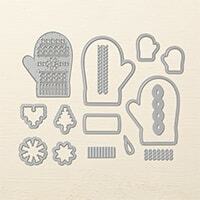 You can combine it with products from the Picture Perfect Party Suite. 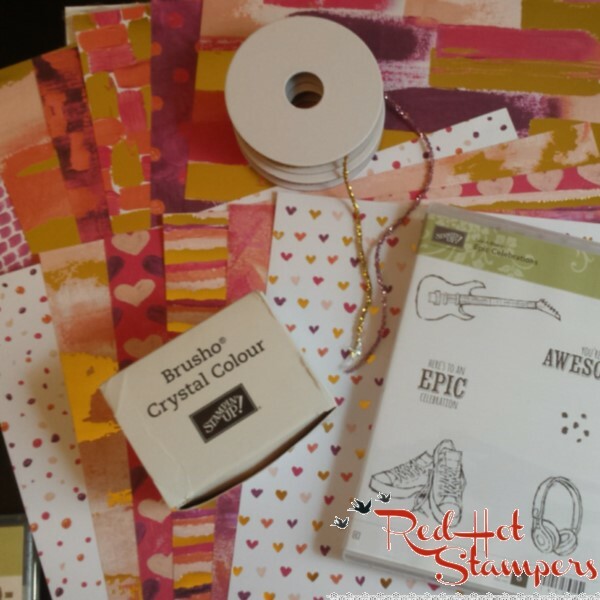 The Picture Perfect Birthday stamp set, and the Picture Perfect Party 6x6 DSP (so fun!) are must haves. 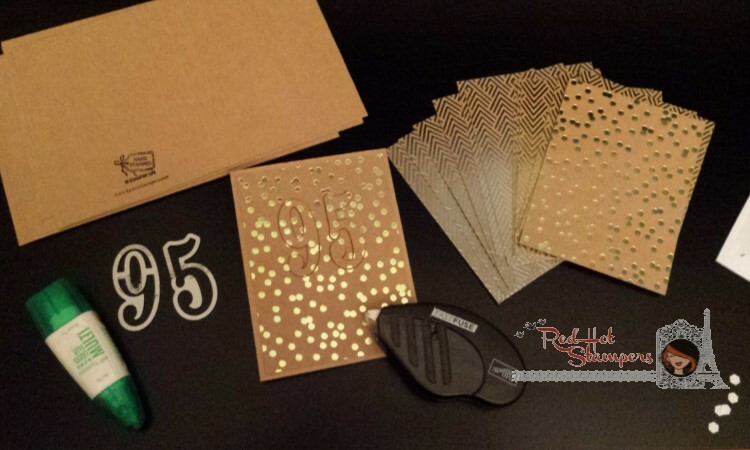 There are several other items in the suite to choose from, but I bundled it with the Berry Burst Metallic Edge ribbon, and the Scattered Sequins Dynamic Embossing Folder. 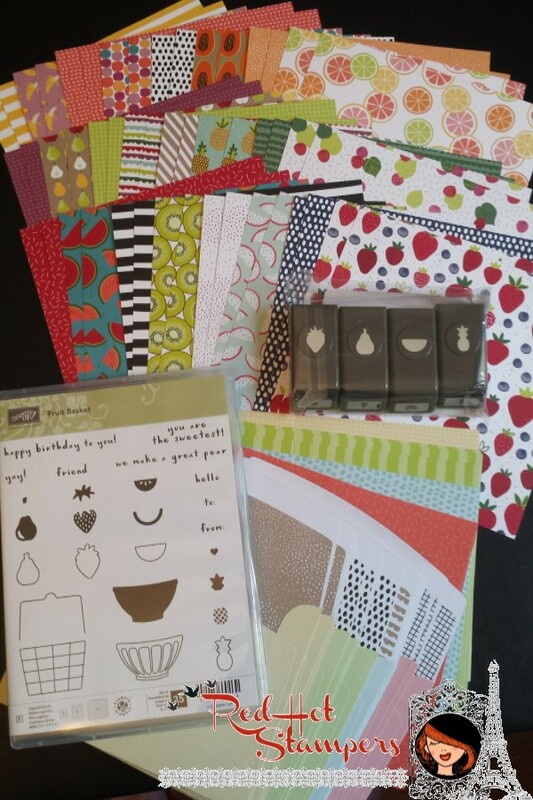 Tutti-Frutti Cards and Envelopes will be FREE with any $50 purchase, and they coordinate with SO MUCH! I've paired them with items from the tutti-frutti suite here. The Tutti-Frutti DSP is even brighter in person! It's beautiful! (And would coordinate REALLY well with the Party Pandas SAB set as well!) 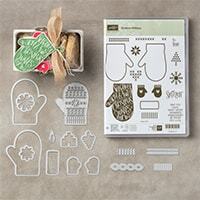 The Fruit Basket Bundle includes the stamp set and a set of 4 mini punches! There is also coordinating washi tape, SELF-ADHESIVE sequins! (I KNOW!) and Lemon Lime Twist Mini Striped Ribbon! That's on my next order for sure! I missed it the first time through the catalog!!! This year, for the first time, there are LEVEL 2 Sale-a-Bration items being offered free with any $100 purchase! 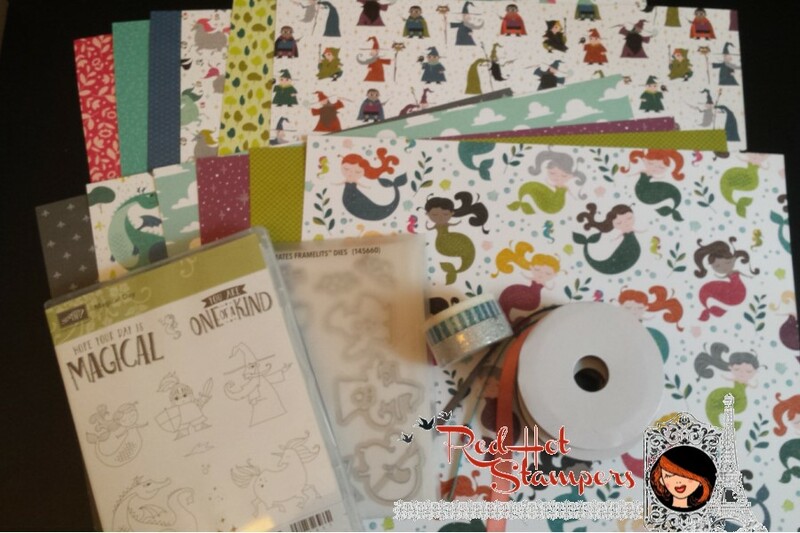 I chose the Celebrate You Thinlits, but the Happy Wishes stamp set would coordinate BEAUTIFULLY with these products! I HAD to have the Charming Cafe bundle, AND the Lots of Happy Card Kit...and refill. You'll notice in the video, I got the Bubbles & Fizz paper as a free item, and the ready-made bundle that coordinates with this package PERFECTLY is called the Bubble Over Bundle. 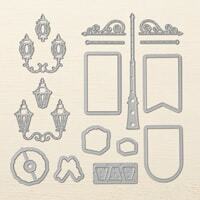 Don't forget the Glitter & Clear Epoxy Shapes to add some sparkling bubbles to your projects! 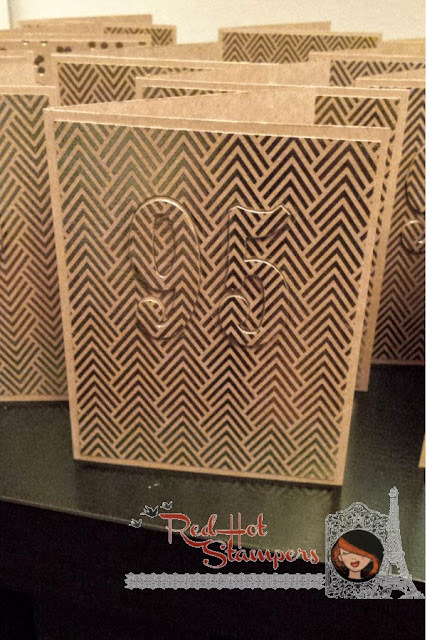 The Picture Perfect Party DSP also coordinates exceptionally well with this suite! The retiring list is out! The discounts have begun! Place your order now before they sell out! Contact me today and I will send you an excel file of the retiring list! Don't want your items to sell out? 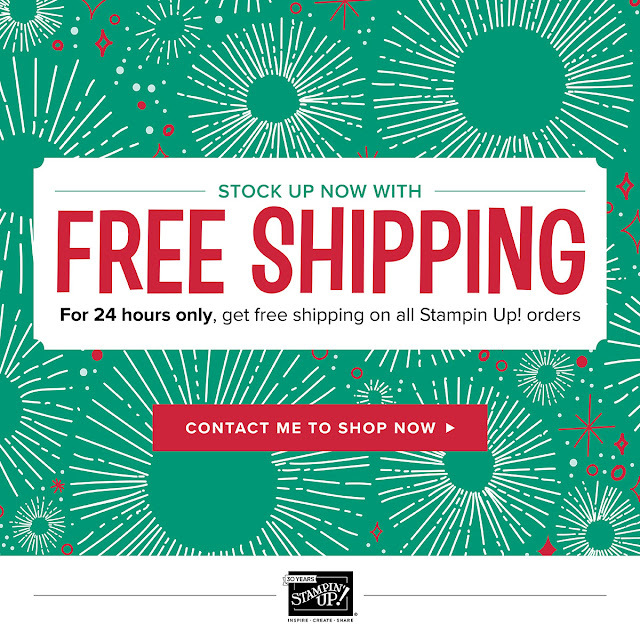 Shop now and use hostess code: XZTJWBCG for a free gift with every order! 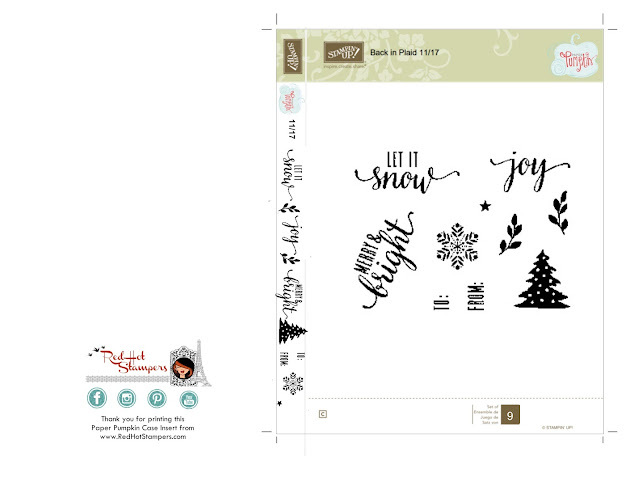 Labels: Red Hot Stampers, Sale, Stampin' Up!